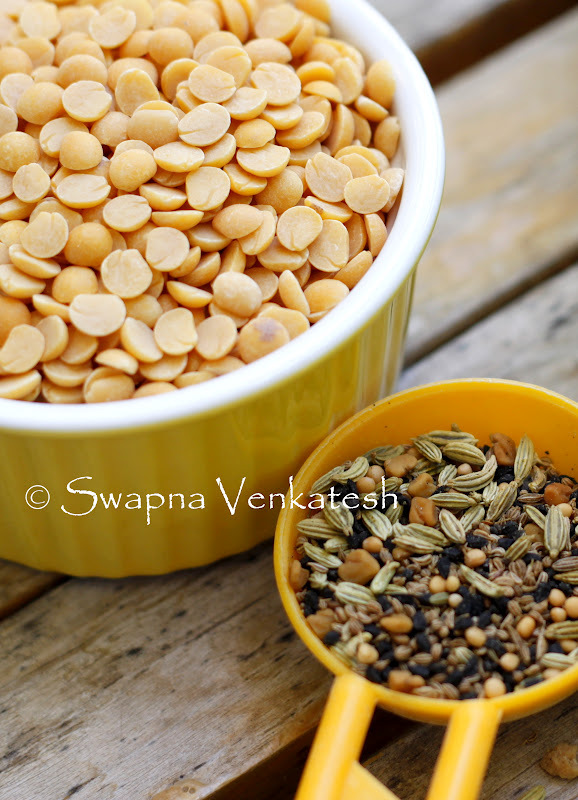 PanchPhoran Dal (Five Spice Lentils) – Comfort food at it’s Best! I know I’ve said many times that making regular dal and rice bores me. That dosen’t mean I don’t make it. No week is complete without Dal being made atleast twice. It’s what we grew up on and it’s what I crave when I come back from a long trip to unfamiliar places. Eating dal and rice with a veggie on the side and a smattering of pickle is nothing short of a homecoming! The fact that it’s such a commoner on the dinner table and gets made so often, I’ve actually never written down a recipe for dal. So this was my first attempt at documenting the precise quantities. I kept a little sheet of paper next to me and kept jotting down what I threw into the pan. Now I finally have a dal recipe that I can pass to the co-resident and ask him to attempt it when am too bored to move a muscle J We use mustard seeds and curry leaves to temper the dal. However, this one uses a five spice mix called Panchphoran that is unique to the eastern parts of India – West Bengal and Orissa. The mix is equal parts of brown mustard seeds, Nigella (kalonji/ onion) seeds, fenugreek (methi) seeds, cumin (jeera) seeds and fennel (saunf) seeds. This totally rocks the Dal into a different universe. 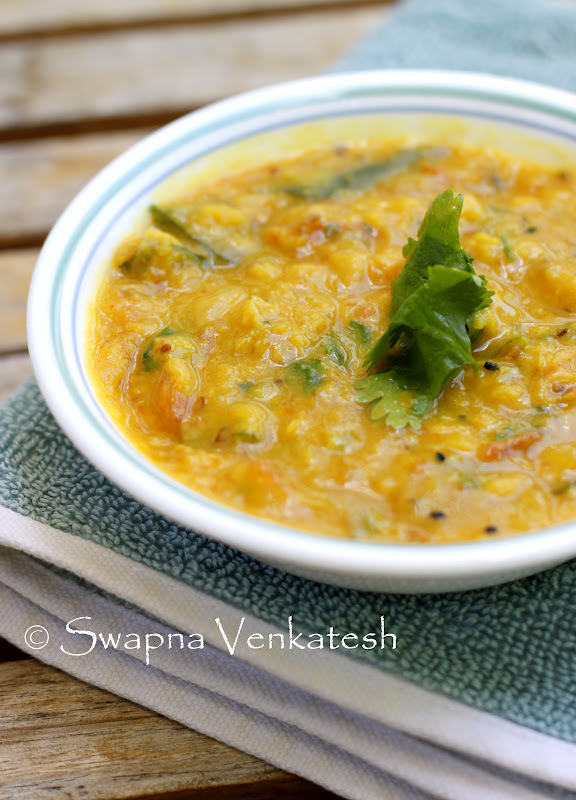 I almost feel like I’m eating super sattvic temple food …God bless the humble Dal! Wash the dal and if possible soak in water for 20 mins. Drain and put the same in a pressure cooker. Top with 2 ½ cups of water, turmeric powder, oil, salt, slit green chillies and the chopped tomato. Wait till the water starts bubbling, then close the cooker lid and wait for the pressure to build. Now put the weight on and pressure cook for 20 mins. Remove off the heat, wait for the pressure to come down. Now open the lid and mash the dal well with the chilli and tomato. 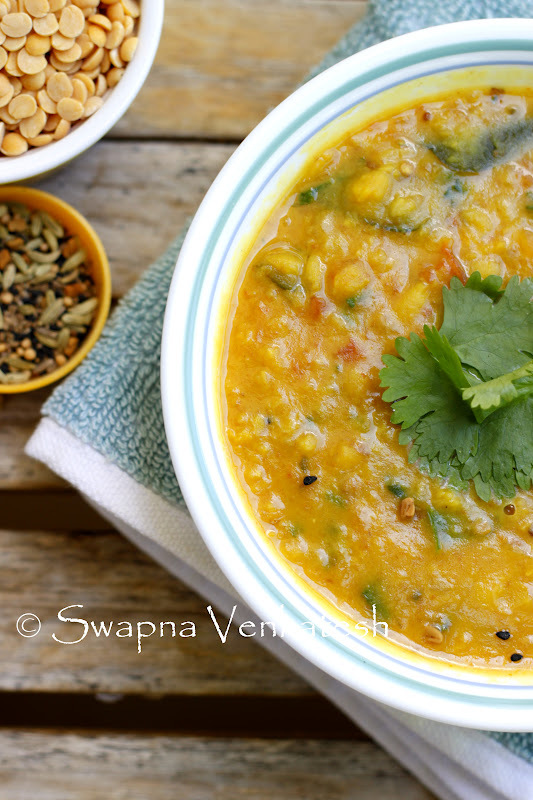 Mix the dal with 1 cup of water and keep aside. Heat some ghee in a kadai. On medium heat, add the onion and a pinch of salt and stir till onion is soft. Toss in the red chilli, minced/smashed garlic and the panchphoran mix and saute for 2 more mins. Finally add the curry leaves and wait till they just start to fry. This is your tempering / takda.